Enjoy the best inspirational, motivational, positive, funny and famous quotes by Abdel Fattah el-Sisi. Use words and picture quotations to push forward and inspire you keep going in life! I decided that I was ready to assume this position when I discovered that the chance to save the country was very meager. 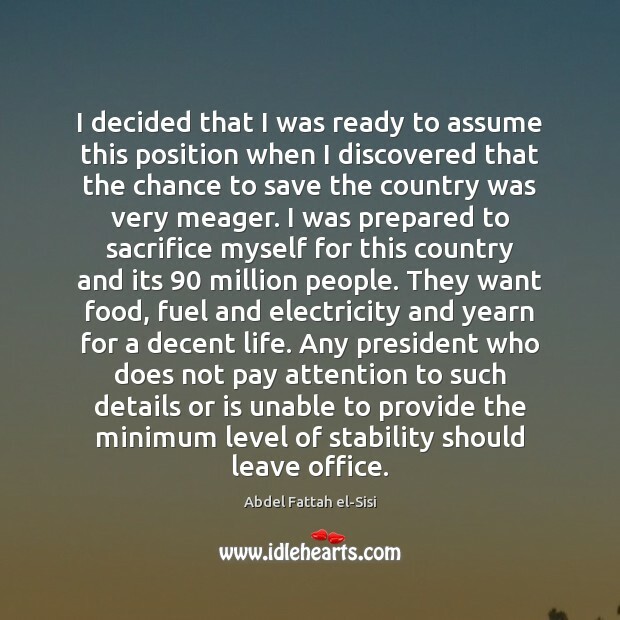 I was prepared to sacrifice myself for this country and its 90 million people. They want food, fuel and electricity and yearn for a decent life. Any president who does not pay attention to such details or is unable to provide the minimum level of stability should leave office. 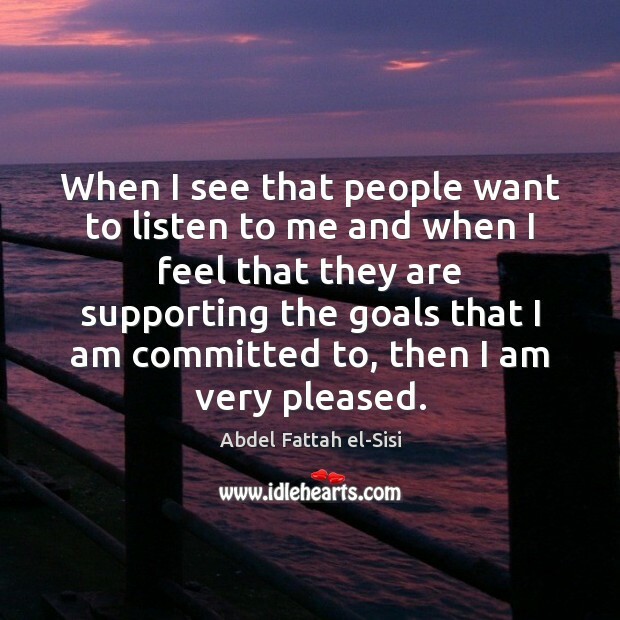 When I see that people want to listen to me and when I feel that they are supporting the goals that I am committed to, then I am very pleased. 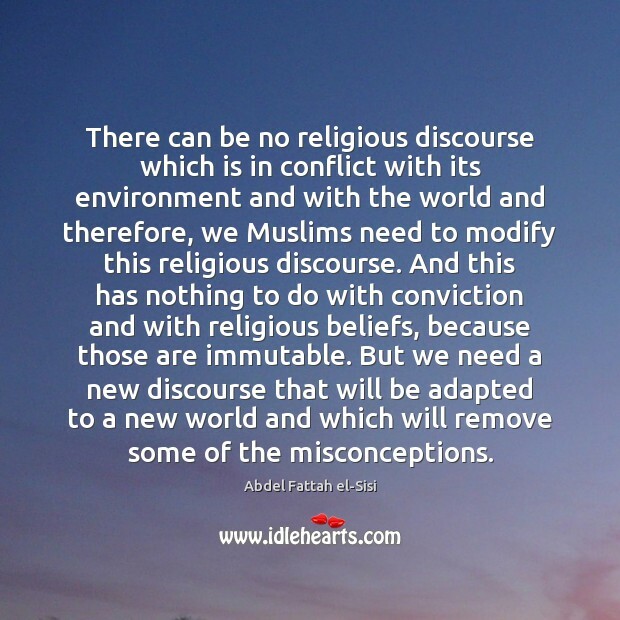 There can be no religious discourse which is in conflict with its environment and with the world and therefore, we Muslims need to modify this religious discourse. And this has nothing to do with conviction and with religious beliefs, because those are immutable. But we need a new discourse that will be adapted to a new world and which will remove some of the misconceptions. Any person by nature has inherent capabilities. 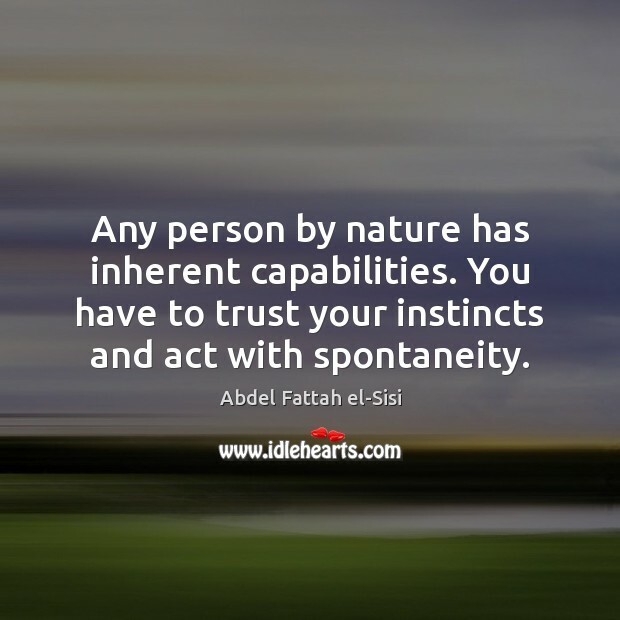 You have to trust your instincts and act with spontaneity. 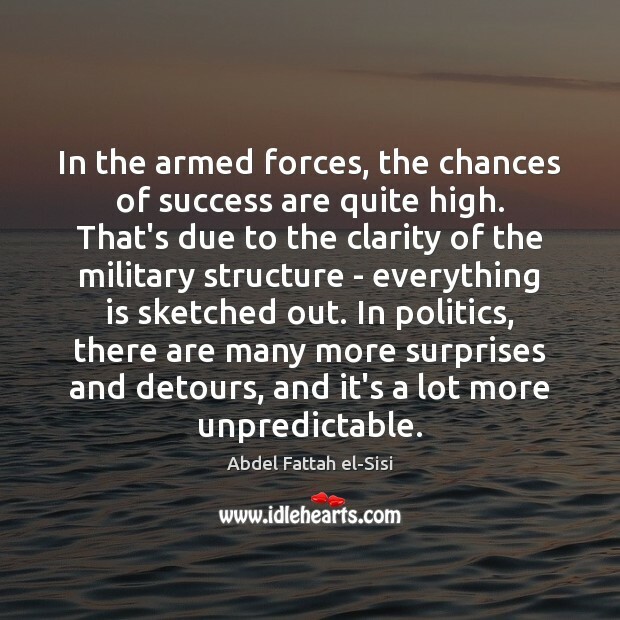 In the armed forces, the chances of success are quite high. That's due to the clarity of the military structure - everything is sketched out. In politics, there are many more surprises and detours, and it's a lot more unpredictable. I would never stay in office against the will of the people. 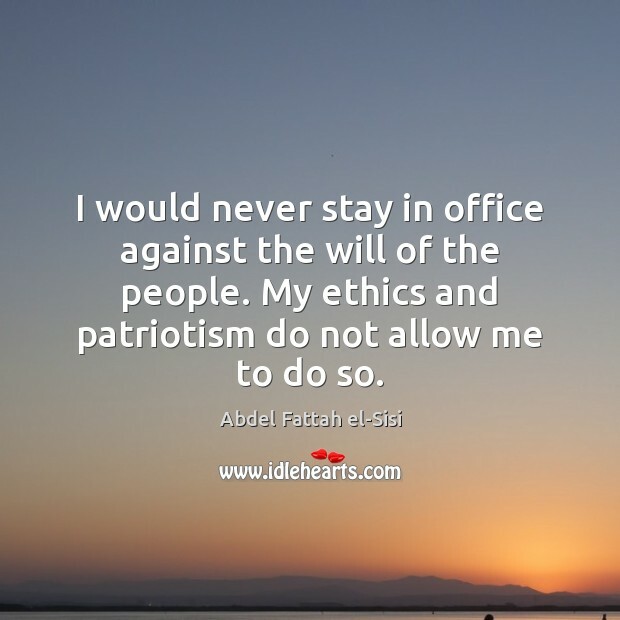 My ethics and patriotism do not allow me to do so.